We are in the midst of an exciting time in the life of our church. As the summer comes to a close and fall draws ever closer many of our discipleship opportunities ramp back up. On August 12th a new cycle of six-week classes begins. Discover Buck Run – Taught by Matt Morvay in the Rehearsal Hall. This class offers an introduction to Buck Run and its mission, vision, and expectations for members. Launch yourself into ministry and get plugged in. Biblical Manhood (Men’s Class) – Taught by Chris Parrish in Room 100. In a world where gender issues are increasingly complex, we’ll look at what the Bible says it means to be a man. How can we as men best honor God and love and serve our neighbors? Doctrine Matters – Taught by Reeves Garrett in Room 101. Knowing what the church believes is the first step in fighting unbelief of the heart, both in yourself and in others. Get a bird’s eye view of doctrine. 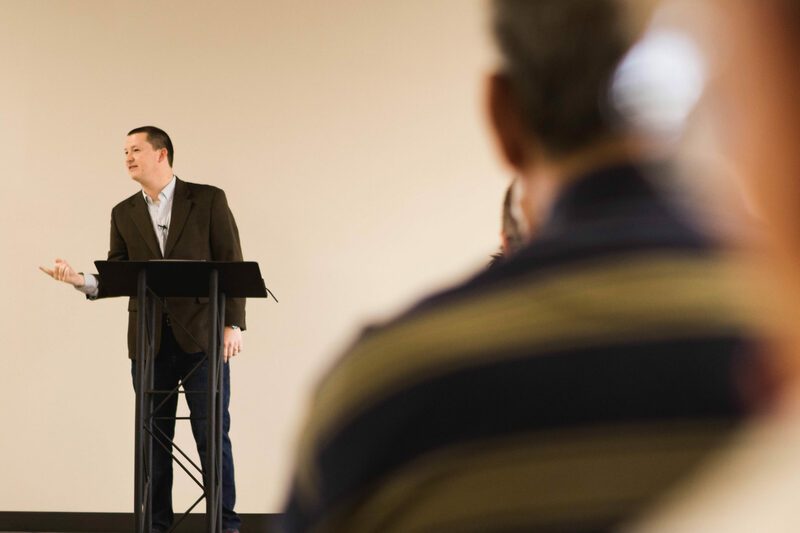 No Stone Unturned: Galatians – Taught by Dr. Wesley Noss in Room 102. This is an in-depth, verse by verse, study of the book of Galatians. Biblical Hospitality (Women’s Class) – Taught by Jennifer Whittaker in Room 103. We must understand the difference between entertaining and hospitality, being able to identify simple acts to convey truth in reaching the lost and the loved. Let’s learn to stop making excuses and open our doors. This class will offer a convicting look at Biblical Hospitality. Return to Joy: Haggai, Zechariah, Malachi – Taught by Dr. Hershael York in the Sanctuary. Join us for an in-depth walk through the post-exile prophets. After years in captivity and exile due to sin, what does it look like for the people of God to return to joy? Let’s listen as God speaks. We’ve taken some time this summer to revamp our Community Groups, and we are launching back this fall with 24 groups, several of them are brand new. We have groups in Lexington, Georgetown, and Frankfort, with more groups on the way. We encourage every member to find a community group that fits them. Visit several, try them out, and see what works best for you and your family. You will not be disappointed! You can always find more specific information about our community groups on our website at buckrun.org/communitygroups. Wednesday nights start back up on August 15th from 6:30-7:30. These nights are used to equip the church, and we offer a variety of ways to be equipped. Our students spend their time in discipleship groups, reading and studying the Word. Dr. York teaches a Bible study in the sanctuary. Our single mom’s ministry ministers to women who are hurting and in need. We even have a new opportunity coming this fall: foster care training. If you’re at interested in learning more about that training you can attend the informational meeting on Wednesday, August 29 in Room 105. We pray that you will take advantage of all the opportunities available to you to learn and grow in Christ. At Buck Run, we work hard to create an environment of discipleship that you may be a growing, reproducing disciple of Jesus Christ. I hope you will join us for all that is going all this fall!